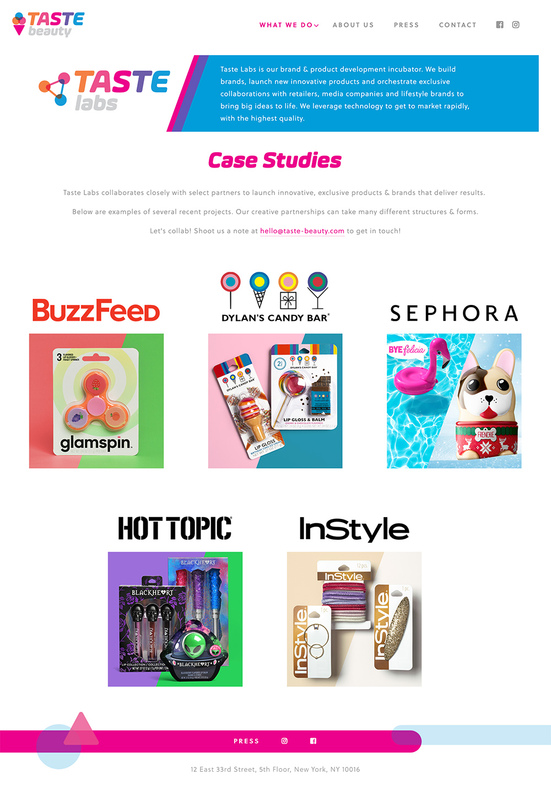 As a designer at Alternatives, I have worked on numerous websites for clients, supporting the team in a variety of capacities, from design concepts to Wordpress theme development. 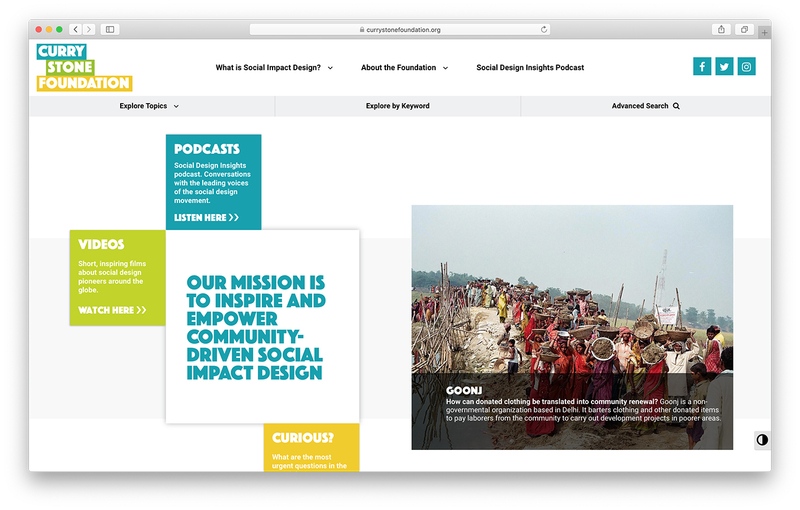 Alternatives redesigned the Curry Stone Foundation website from the ground up, creating a large and accessible resource for social impact design research. 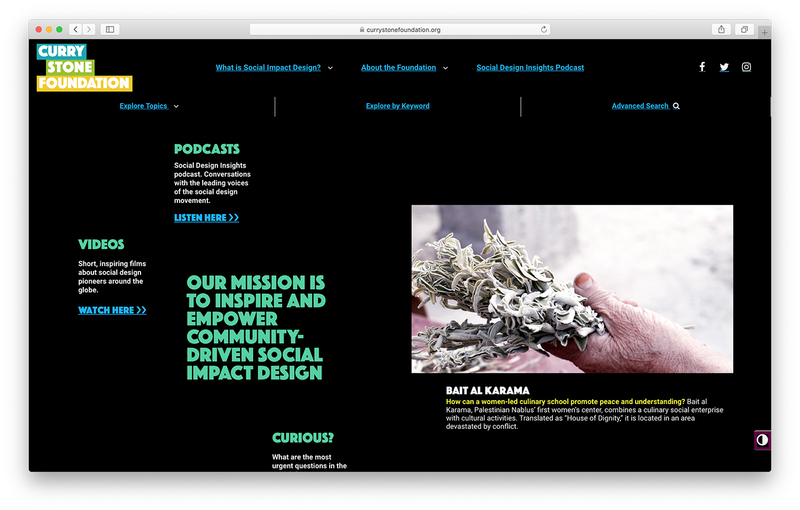 The website content includes searchable profiles of design practices and podcast episodes centered on important design thinking questions. I assisted our design/development team by researching accessibility standards and making sure we employed them on the site, researching Wordpress plugins to extend the functionality of the site to include advanced search and custom post types, and by developing customized Wordpress page templates. Below, you can view the high contrast mode for accessibility. 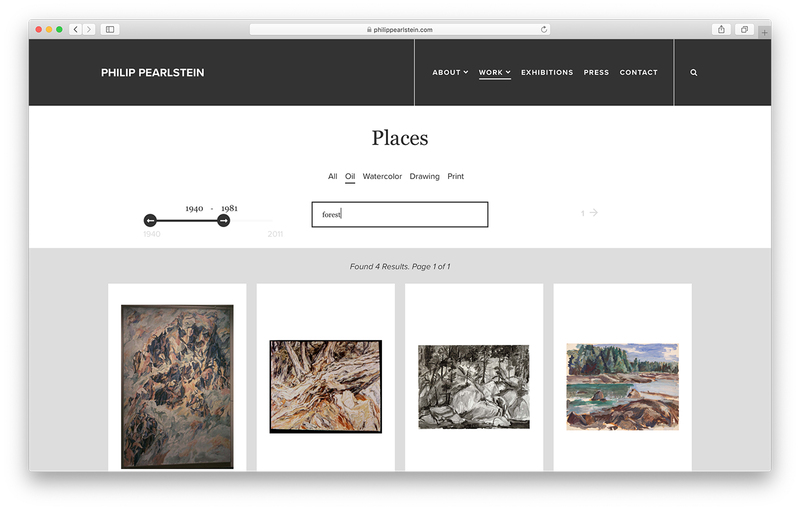 Alternatives worked with American painter Philip Pearlstein to create a website that could showcase the full story of his art career, from his school and military years to present day. I assisted the design/development team with Wordpress plugin research, and in the tagging and preparation of thousands of artworks for import into the site. 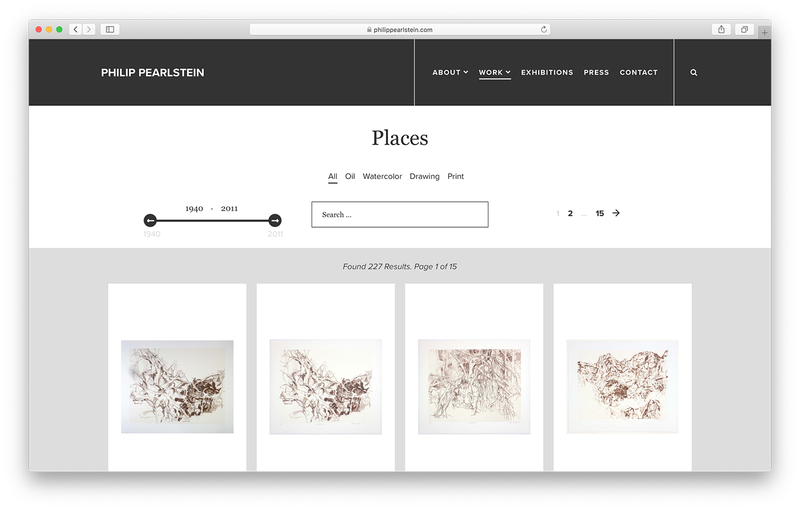 Below: advanced search filters use keyword and custom fields to sift through the vast database of artwork. 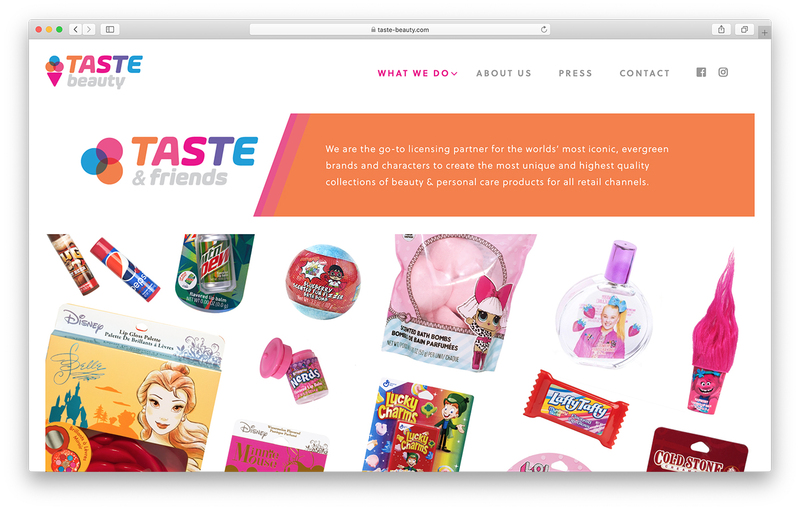 Alternatives was tasked with designing an identity for Taste Beauty's licensing and product incubator divisions, Taste & Friends and Taste Labs. After a thorough logo exploration, my designs for an evolution of their existing "ice cream cone" logo were selected by the client. 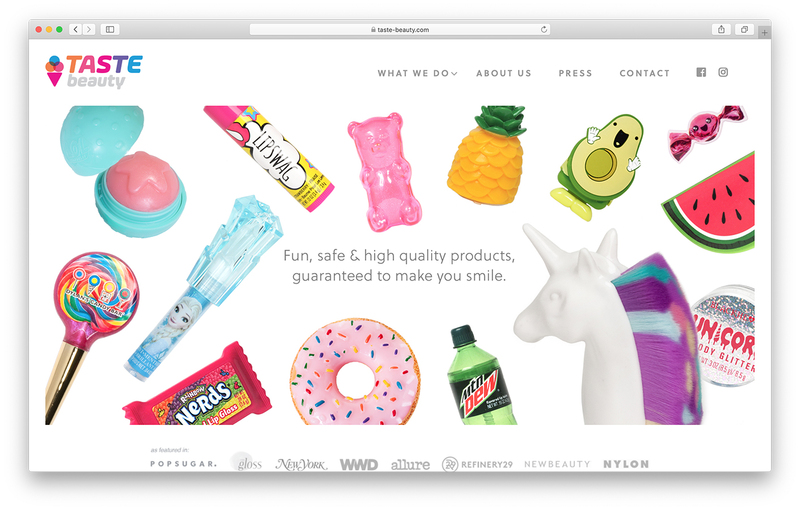 We then planned and shot product photography and built out a Squarespace website that showcases the personality and subdivisions of the brand. 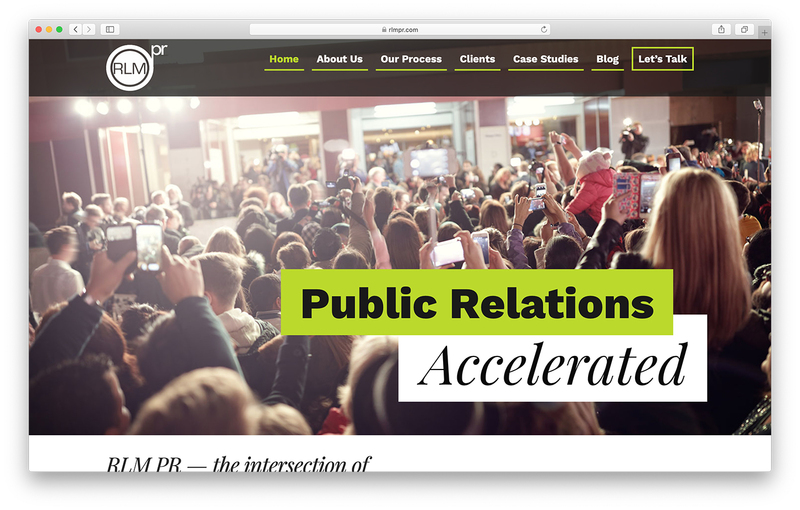 RLM PR's website needed to be rebuilt with a professional look that showcased their client's case studies. With the Alternatives team I designed concepts for a refreshed look, and helped build out the new Wordpress site. 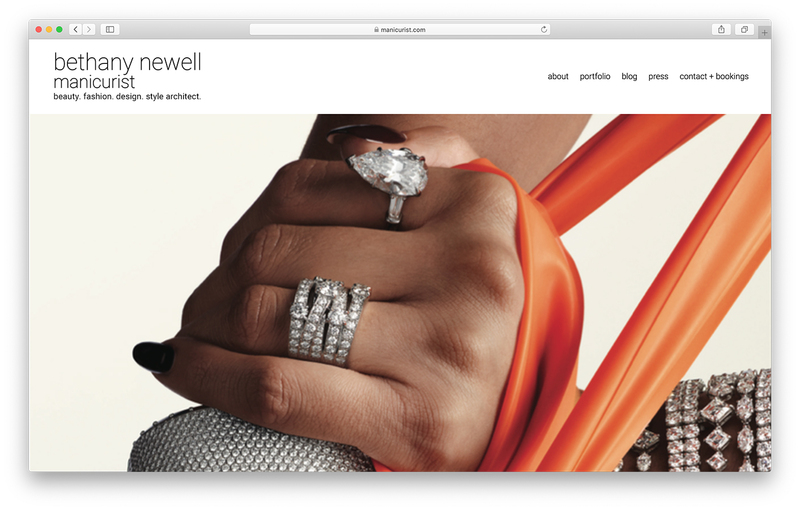 Bethany Newell, a professional manicurist, needed a portfolio refresh. We selected a Squarespace theme that could accommodate the wide range of photography in her portfolio, and customized it to match her personal brand look. Copyright Katie Story, All Rights Reserved.